A project announced in 2006 by the authorities in Finland to find ways of turning some of the wood from the Nordic country's forests into "resourceefficient production technologies" immediately attracted the attention of serious players in industries such as paper and chemicals. One of the focal points was always intended to be cellulose, using cellulose from the trees in material applications, and by March last year, a bio-refinery had been set up with the project leaders looking for new value chains to supply. According to one academic who has been active on the research side of the project, Professor Pertti Nousiainen, director of the institute of fibre materials science at Tampere University of Technology, the textile industry is a logical candidate. The objective for this part of the project, called FuBio, is to find and develop technologies to use bio-refineries to modify cellulosic fibres into "future valuable materials and solutions". Given the stakeholders that the project attracted, the initial examples were applications in wood products, biofuel and packaging; textiles came some distance down the list. Professor Nousiainen and his research colleagues saw quite quickly, though, that the success of Lyocell means textile applications could fulfil one of the main criteria of FuBio, that the textile value chain is large enough in scale and value to cover the cost of using bio-refineries to extract fibres. The producer of Lyocell, Lenzing, reported its best-ever six-month results in 2010, net profit of Euros 80.4 million on sales that increased by 43.6% compared to the first half of 2009 to Euros 847.2 million. In 2009, it issued a prediction for this year that, in 2010, fabric and garment manufacturers would use around five million tonnes of cellulosic fibres (not just Lenzing's, but across the board), a bigger share of the market than these fibres have ever had before. Part of the reason for the increase may be the association between cellulosic fibres, which come from plants, and sustainability. Lenzing itself says using wood as a renewable resource, and an "environmentally sound" production process help make its sustainability status "exemplary". 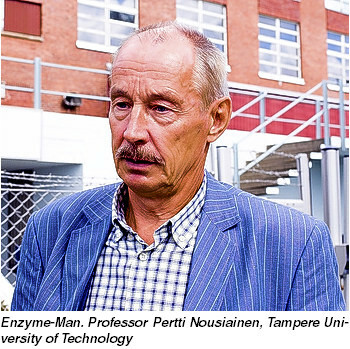 For Professor Nousiainen, the cellulosic fibre production he and his colleagues believe can arise from FuBio will prove to be more sustainable still. "Our approach is to use enzymes," he explains. "Enzymes open the nanofibrilar structure of the cellulose system allowing manufacturers to produce regenerated fibres that are very similar in tensile strength to viscose fibres." The professor points out that wood cellulose is important, but has a compact physical and chemical structure and does not dissolve easily. He calls the processes current producers employ "difficult, expensive and often harmful to the environment" and says the use of enzymes instead is "an interesting green alternative to dissolving cellulose'. He explains that commercialising this is an important aspect of FuBio and that the research team has been co-operating intensively to create a development plant,which will use machines that are used to produce viscose at the moment. According to Lenzing, using enzymes to produce cellulosic fibres rather than chemicals might not be such a bad idea; however, the company is not convinced it can be done effectively. 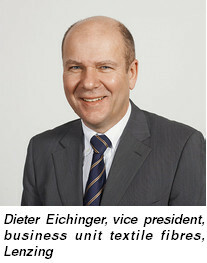 Dieter Eichinger, vice president, business unit textile fibres, agrees with Professor Nousiainen that dissolving cellulose is not a straightforward process. If it was possible to do this in water, for example, trees would be dissolving in lakes and seas across the globe. Cellulose is a polymer that has quite a long chain and as far as Mr Eichinger is aware, there are only two commercial ways of dissolving it. The first is to do so using a chemical process, as textile manufacturers do for example in the case of viscose. The second is to use a solvent as Lenzing does in the Lyocell process. "So far the enzymes I'm aware of only degrade the polymer to a level to remove fibrils; this is used in textile technology to polish the surface," says Mr Eichinger. "I don't know exactly what the technology behind this [new development] is but of course it is always interesting testing new technologies on a commercial scale." The end result of using an enzyme rather than chemicals would be the same, he says; however the benefits of using enzymes would greatly depend on the process. Isolating any one aspect of the production process is a mistake, according to Lenzing, because the only real benefits come from improving the whole chain. In the case of textiles, this can be very complicated, Mr Eichinger explains. "Spinning is the first hurdle," he says. "Then there is dyeing and finishing. 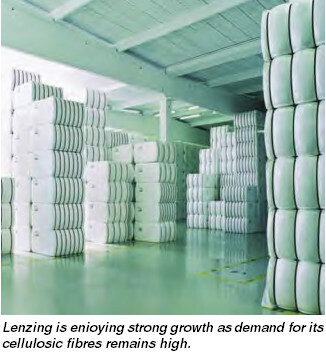 Lenzing has dedicated itself to working on this much more than in the past because the biggest impact on the environment takes place on the dyeing and finishing side. If you really want to save the world you're better off looking at that. When we talk about green stories, we always have to think about what impact we are having overall." In terms of the solvent Lenzing uses to dissolve the polymer, he claims it is comparable to the type of detergent used in shower gels around the world on a daily basis. As a result, he suggests looking for an alternative might not be as necessary and impactful as it might sound. Mr Eichinger suggests that there is a lot of hypocrisy within the "green" textile sphere. He recently gave a presentation in New York that focused on green issues. Despite the subject matter, people flew from all over the world to attend the conference and had no qualms about the air conditioning that was being used to keep them cool and comfortable. "If you think about what is happening in society we have to compromise, you can't be perfect," he says. "You try to think about all of the elements and the impact of them, and then compromise. You have to be transparent, this is what we are doing, and always trying to improve," he continues. "It's a never-ending story." The two most important things, he claims, are having a product that feels right and performs well, and that this product has a viable story behind it. 'Technology is one thing and product properties are another," he says. "For example, with Tencel and Modal, the first thing is that you feel the difference. The combination of personal experience and the confidence you have that something is also greener draws the attention. It is something to talk about." Mr Eichinger compares Lenzing to consumer electronics brand Apple, which not only offers individual products, but provides a much broader concept. "it's about providing the whole package, hardware and software," he says. He explains this by saying that the problem for most textile and clothing brands is that they have very little research and development capacity, so they have to be careful where they focus their efforts. This, says Mr Eichinger, is where Lenzing has the edge. 'We give them the stories, the product development information, the marketing help. We also reduce the risk for our customers because we have tested our fibres extensively. For a new company it's not easy to have the whole package available. People build businesses on confidence." According to Mr Eichinger, Lenzing isn't worried about technological advances that are being made by its competitors. The market is so big and everything takes time. There is plenty of capacity," he concludes. Future Biorefinery (FuBio), the five-year research programme was started in March 2009. The FuBio programme aims at improving the competitiveness of the Finnish forest cluster by creating a competence platform that enables developing of new products that meet the growing demand for biomass-based products in the future of diminishing fossil resources. The programme has a planned budget of about EUR 50 million for the years 2009 -2014 and involves participants from leading forest cluster companies and top research organizations. Also, international partners are important actors and contribute with spearhead expertise and knowledge. The FuBio programme is one of the five research programmes launched by Forestcluster Ltd that is one of the six Finnish Strategic Centres for Science, Technology and Innovation (SHOK), a concept for intensifying cooperation between companies and research institutes, and speeding up the process of converting research results to commercial products. Forestcluster Ltd has launched the FuBio research programme to create new competence in forest biomass biorefining and to stimulate the transformation of the Finnish forest cluster. Novel wood-based value chains : The objective of the FuBio programme is to develop new methods enabling fractionation of wood into cellulose, hemicelluloses, lignin and extractives in their native-like form and further, to upgrade these fractions into chemicals and materials. Bioplastics, new composite materials and various biochemicals are examples of potential new end-products. The programme aims at generating innovations that can either be implemented as a part of existing industrial operations, or which open up entirely new wood-based value chains that focus on new business activities and new markets. Unique entity : FuBio is a unique programme – it covers all the strategic themes in the wood biorefining excluding biofuels. There has been wide interest and long culture for biorefining studies in Finland, although research has been very fragmented in small research groups. By linking together all these groups the FuBio programme aims at improving the quality of results and accelerating the implementation of applications. All the FuBio research groups are part of international networks, and their global contacts are backed by Finnish pulp and paper corporations, as well as chemical and machinery suppliers, that are active players in the international markets. During the first two years, the FuBio programme has been focusing on wet laboratory work, such as fractionation technologies, cellulose for material applications, hemicelloses for materials and hydroxyl acids, and biochemicals for protection of products and health. Cotton : To Export or Not to Export!! 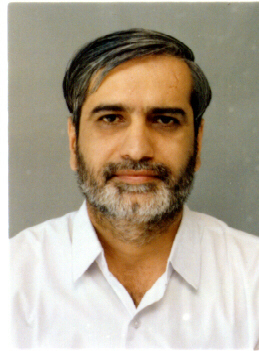 With regard to the export of cotton, the country has witnessed a very strange and tricky situation this year making the government’s decision irrelevant and unacceptable to the stakeholders – cotton producers, ginners, cotton traders and the consuming industries like spinning mills, yarn traders, power looms, composite mills and of course exporters and importers of these materials including raw cotton. The government and others involved in policy making got sandwiched between two groups whose vested interests had been diagonally opposite irrespective of the fact whether the export was allowed or banned. I feel that this makes a very interesting as well as important case study for our premier institutes of management. Their in-depth study of various aspects of this complex situation can help the government to strike a balance between various stake holders and ensure that the farmers get their fair and assured returns and unscrupulous hoarders get punished. The consuming mills should also not blow up their price concerns just to make more profits or cover up their inefficiency. The middlemen also need to be monitored so that they are not able to exploit the farmers who lack business acumen to deal with the buyers of their produce. There is a growing feeling among the farmers’ bodies that farmers should have the freedom to market their produce wherever there is demand within and outside the country and the entire country should be treated as a single market. This sounds quite logical in the current era of globalization. The ban on cotton exports to protect the powerful textile lobby only helps the textile mill owners who want cheap raw material to increase their profit margins. In view of good demand for cotton in the global markets if farmers want to export their produce to earn some money then it is should not pinch anybody. In any case there is no control on the prices of cloth and garments being sold in the country. Let there be an in-depth study and everybody know the cost structure of cotton farmers and mills. Let each stake holder’s business model be studied to bring out the real facts. The export restrictions have been responsible for the misery of cotton growers in all the major cotton producing States who were denied attractive prices to their produce and export in the international market for fetching handsome remunerative prices. The ban is believed to be not only anti-farmers but also against the WTO norms and also undermines the spirit of free economy. The organized sector mills’ associations say that the mills are facing the “worst ever crisis during the past several decades” and therefore the export of cotton should be banned to provide relief to them. The different stakeholders have different demands and also vested interests but the government must see that no one takes undue advantage of the government policies which must be formulated considering the farmers’ realization on top of everything else. Let every stake holder accept this basic point. If everyone, except the farmer, is making money in the value chain then it is going to be shame for the government as well as the civil society. I feel that the government should seek help from various IIMs in policy making and monitoring. U.S. President Barack Obama recently called on Americans to achieve global competitiveness through innovation in order to win the future. He hoped that the economy was growing again leaving behind the worst recession of past two years. He mentioned China and India in his speech acknowledging that the two countries were spending more on education with greater focus on math and science, and were also investing in research and new technologies. He noted that the world had changed, the competition for jobs was real and for many, the change had been painful. However, he was quite optimistic that his country would be able to maintain it's supremacy in the world in the coming future, too. The very fact that Obama had to emphasise on winning the future clearly shows that he felt that the battle for the future was on and China and India were two strong contenders for the same. Since the battle is going to be a long drawn one, there is bound to be lot of uncertainties especially because China has authoritative one Party regime whereas India's democracy is like a lame-duck. This may perhaps help Americans to continue to be the world leaders, if they fight well the present chaos facing their economy. Talking about China, it has the most impressive economy in the world but lacks natural and other resources. There is a possibility that with the increasing demands of its growing middle class, China could run a trade deficit along with a weakening currency in a few years time. It is also recognised that China has better government policy makers whose most of the recommendations are followed by the governing Communist Party. However, the lack of democracy and ever increasing disparities between rich and poor can act as a big destabilising force in coming years and adversely affect China's march ahead. India, on the other hand, has leadership in the IT industry and has a vast pool of English speaking reasonably qualified young boys and girls who are the basic raw material for the fast growing service industry. But India's governance is burdened with too much of corruption at every stage, infrastructure is known to be pathetic and the legal system lacks credibility. There should be no illusion that India is any where in sight competing with China. Let us examine the textile and apparel industry of India and China. India had set the target to achieve $50bn exports by 2010. India's Exports in 2004-05 were $14bn and in 2005-06: $ 17bn. India's official target in 2005, at the end of the quota system, was to achieving 7-8% share in the coming three years, and about 15 to 16% by the year 2010. Today, our leaders expect to achieve 20% per annum growth in exports over the next five years which would double India’s share of the global textile industry to about 6.6%. India expects exports to be $24bn (about 4.5% of the global trade) for the current fiscal against the estimated $20bn in 2009-2010. Experts believe this could reach $80bn in 10 years, or 8% of the world market. China's export of textile and clothes touched $206.53bn in 2010 (Jan.-Dec.), rising 23.59% from previous year. The global trade in textiles and clothing is expected to touch around $800bn by 2014 from the current $500bn. So, the fact-of-the-matter is that we are comparing India – having an annual exports of hardly $24bn (less than 4% global share) – with China having annual exports of more than $206bn and the global share of nearly 40%. Are they comparable? Definitely, No. Even Bangladesh, Indonesia and Vietnam are performing better than India on the export front. The scenario is more or less similar in almost all spheres of economic activity. Definitely, India is not in the picture when it comes to Obama's so called 'war' to win the future. This 'war' is going to be between the US and China and everyone understands that. Obama may have just mentioned India's name to downplay China's role but let us not have any illusion. Let them fight that war. As far as India is concerned, we got to manage the present well so that we not only maintain our core competencies and specialities but also try to eliminate our drawbacks, acquire newer skills and hence 'make' the future for our billion plus population in the years to come. Let us not try to 'win' the future. Instead, let us work all together to 'make' it. The European Parliament of Enterprises, last October, adopted the Late Payment Directive in order to eradicate Europe’s late payment culture (in commercial transactions) which affected the cash flow of businesses across the EU. It was observed : "Many payments in commercial transactions between economic operators or between economic operators and public authorities are made later than agreed in the contract or laid down in the general commercial conditions. Although the goods are delivered or the services performed, many corresponding invoices are paid well after the deadline. Such late payment negatively affects liquid assets and complicates the financial management of enterprises.It also affects their competitiveness and profitability when the creditor needs to obtain external financing because of late payment. This risk strongly increases in periods of the economic downturn when access to financing is more difficult".The Directive further said : "Late payment constitutes a breach of contract which has been made financially attractive to debtors by low or no interest rates charged on late payments and/or slow procedures for redress. A decisive shift to a culture of prompt payment is necessary to reverse this trend and to ensure that the consequences of late payments are such as to discourage late payment. The agreement sets a maximum cap of 60 days for payments by public authorities; this will benefit the many businesses, particularly SMEs, that provide goods and services to public bodies. All business-to-business transactions are also included under the scope of the directive. The creditor is entitled to interest for late payment without the necessity of a reminder. Chambers will monitor closely the process over the two-year transposition period. India has the worst culture of late payments across all businesses including a large number of public enterprises. When it comes to the textile industry, the situation is really pathetic. Ask any supplier, whether a dyes-chemical supplier, machinery supplier, grey cloth supplier, finished goods supplier, everyone is facing recovery problem. Most of their sales executives have become 'recovery' executives. Recently, the Federation of Gujarat Weavers'Association (FOGWA), Surat demanded that the textile traders would have to make the net payment within seven days of the receipt of grey cloth instead of three months credit which was being given to them. However, the Federation of Surat Textile Traders Association (FOSTTA) has declined to accept this. The dishonour of a cheque for insufficiency, etc., of funds in the accounts is punishable with imprisonment for up to 2 years, or with fine, which may extend to twice the amount of the cheque, or with both. The affected creditor can file a Criminal Complaint u/s 138 of Negotiable Instrument Act . It was hoped that this would curb the culture of willful and frequent bouncing of cheques. Even so, offenders are losing all fear of cheque-bouncing because of long dates and extra-ordinary delay in finalisation of such cases. According to some estimates over 30 lakh cheque bounce cases were pending throughout the country. When we compare the EU scenario with that of ours, we find that we are hundreds of miles away from where they are aiming to be. However, if there area strong will and readiness to act then it should be possible in India as well. We can certainly work out some way to curb both, the late payment as well as dishonour of cheques, in a combined manner under one common law which operates automatically without the hassles of complex court procedures. A Utopian thought, but worth thinking, indeed. 7 EDITORIALL : "Union Budget 2011-12 : Garment Industry Given Back to the Babu Raj"
7 EDITORIAL : "CURB THE LATE PAYMENT CULTURE, THE EU WAY"
7 EDITORIAL : LET INDIA FOCUS ON "MAKING THE FUTURE"